I’ve written many times here about the great free apps that NASA have created for the iPad, one of the most recent being NASA’s Space Place Prime. 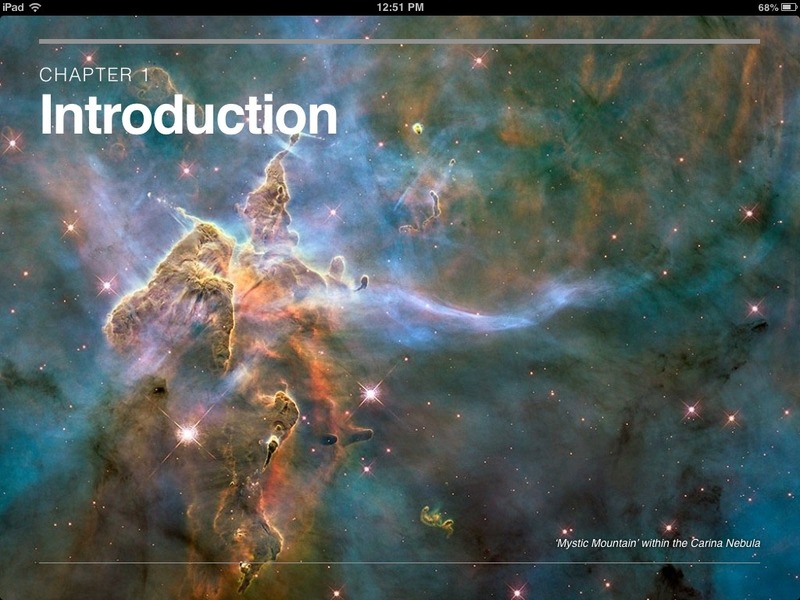 Over the last couple days I’ve been enjoying their latest bit of stellar free content for the iPad – the Hubble Space Telescope Discoveries eBook on the iBookstore. As with every NASA iPad app I’ve seen, this eBook is wonderfully well done. It’s full of stunning images and videos and of course a wealth of information on the Hubble Space Telescope and about the vast universe we’re a part of. The Introduction section has a series of short videos with scientists who have used the Hubble Space Telescope talking about their favorite discoveries. It also offers lots of interactive elements to keep younger readers even more enthralled. Soar through the universe with the Hubble Space Telescope, exploring discoveries from dark energy to colliding galaxies. This highly interactive eBook features video, image galleries and more to reveal the record of scientific breakthroughs behind Hubble’s stunning images of the cosmos. For more than two decades, Hubble has had a front-row seat for cosmic events: comets plunging into Jupiter, the explosive death of stars, the birth of new solar systems, and more. In the process, it has changed the face of astronomy. Learn about Hubble’s revelations and take a tour of the history and technology of the telescope. I’m finding the book a fascinating read, and great fun to browse through – and I’m sure my daughter is going to love it too. It’s a great looking educational title for all ages. 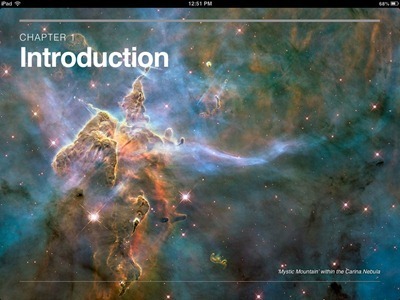 Here’s an iBookstore link for Hubble Space Telescope Discoveries; it’s a free eBook. Dr. Seuss has been on the loose on the iPad just about ever since the original iPad launched, courtesy of the excellent publishers at Oceanhouse Media. Over the last couple of months they’ve released a pair of apps that offer collections of five Seuss titles for young readers –Dr. 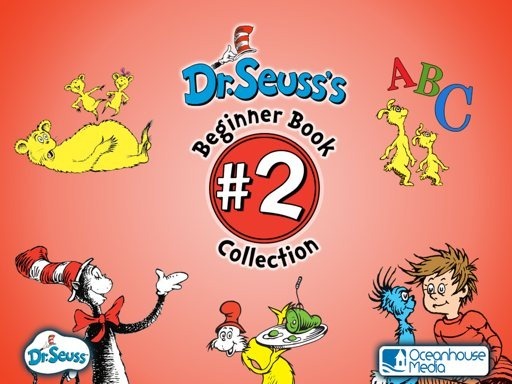 Seuss Beginner Book Collection #1 and Dr. Seuss Beginner Book Collection #2. Each contains five Seuss titles all in one omBook (Oceanhouse’s term for their interactive iOS titles). The Dr. Seuss Beginner Book Collection #1 contains The Cat in the Hat, One Fish Two Fish Red Fish Blue Fish, The FOOT Book, Mr. Brown Can Moo! Can You?, and Fox In Socks. The latest release, Collection #2, includes the classic Green Eggs and Ham, Dr. Seuss’s ABC, The Cat in the Hat Comes Back, There’s a Wocket in My Pocket, and Hop on Pop. 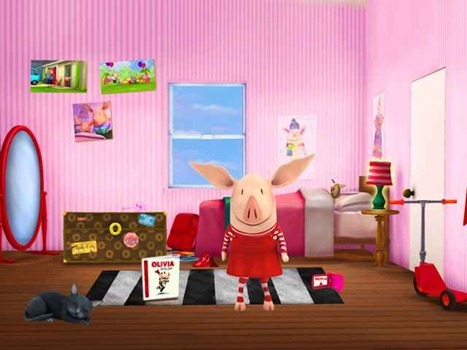 Ann Can’t Sleep is an animated iPad eBook app for children. Its story is all about companionship, friends, and a little girl who just can’t sleep – and her efforts to find the right toy to help her get off to sleep. that is beautiful, innocent and sweet’. 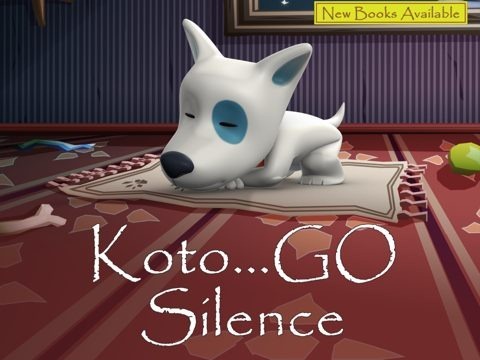 I did a review of the superb Koto Go Silence title from Light Sleepers a couple months ago. It’s a fantastic animated iPad book and my daughter and I both love it. So we had high hopes for Ann Can’t Sleep. Koto Go Silence is an animated storybook for kids for the iPad. It tells the story of Koto, a brave and steadfast defender of his house against everything that goes bump in the night. Disney Publishing is joining in on the Labor Day and back to school iPad app sales fun. They’ve got several of their popular iPad eBook titles for kids on sale for as low as $1.99 this weekend. 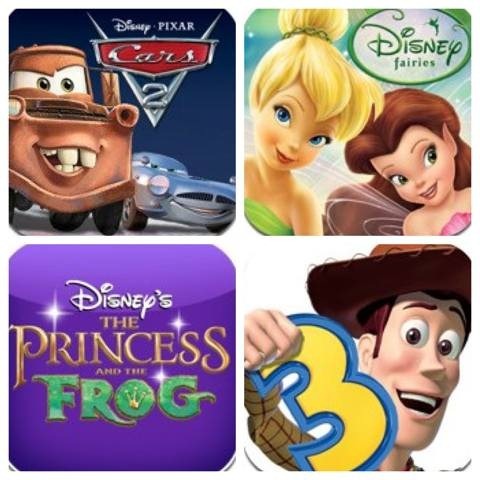 The sale has already started and includes titles like The Princess an the Frog, Toy Story 3 Read-along, and the Cars 2 Storybook Deluxe – all at $1.99. You can see all the details / titles on sale at Disney’s page for the sale here: http://disneybookapps.com/labor-day-app-sale.html. The sale will run until 11:59PM PST on this Monday September 5. Oceanhouse Media – publishers who bring delightful eBook versions of many children’s classic to the iPad – have got a very nice Back to School sale kicking off this week. They’ve got 10 of their Dr. Seuss eBooks for iPad and iOS on sale at $1.99 each. 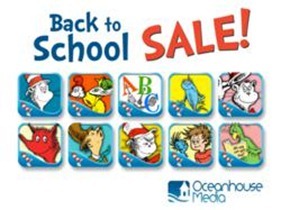 Oceanhouse will be continuing their back to school sale through early October, with a new selection of eBooks on sale each week. To take advantage of this week’s sale on Dr. Seuss titles, see the iPad App Store page for Oceanhouse Media’s Dr. Seuss eBook apps. 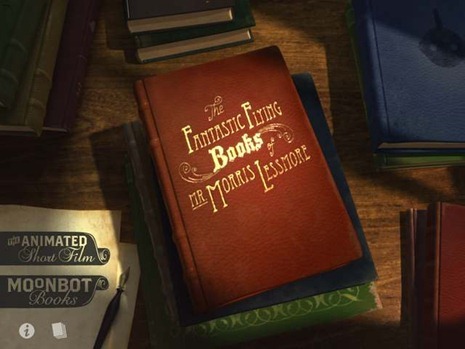 The Fantastic Flying Books of Mr. Morris Lessmore is a spectacularly great iPad eBook and app. So much for review verdict spoilers eh? I couldn’t help it – this is just a fantastic and charming app. One that I already love, and one I know my daughter will love equally – and I can’t wait to show it to her. 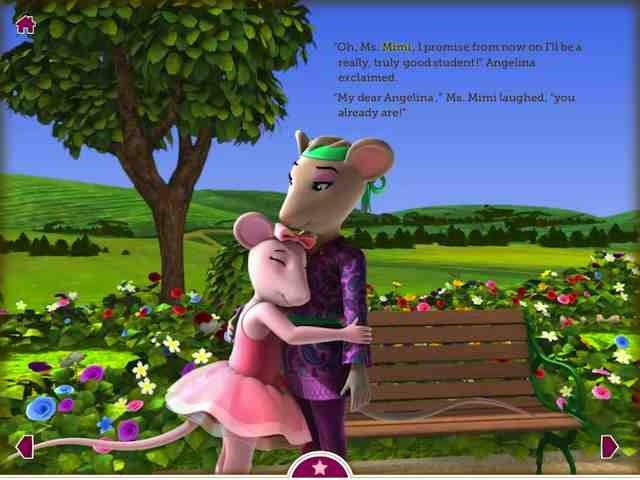 Angelina Ballerina’s New Ballet Teacher is a new iPad eBook from Callaway Digital Arts. It’s one of the many animated, interactive iPad eBooks aimed at younger children. This is one of my very favorite types of app for the iPad, as they are titles I can try out and enjoy with my 8 year old daughter. We’ve tried out a large number of these iPad eBook titles – and fond that some are awful, some are mediocre, and some are very, very good. Happily, Angelina Ballerina’s New Ballet Teacher is in the last of those groups. In fact, it’s one of the very best titles of this kind that we’ve come across. Experience the action-packed story of Disney/Pixar’s Cars 2 in this supercharged children’s book app filled with vibrant art, professional narration, exciting music and sound effects, plus A-list celebrity voices from the film. · Choose between two reading modes that allow you to follow along as the story is read aloud, or to explore each page at your own pace. · Play exciting games inspired from the movie—test your memory in Tokyo Lights and try your hand at Mater’s Tire Toss. · Record your voice reading the story and hear it played back as narration. · Tap characters and objects for animated surprises. · Also includes 5 coloring pages and 5 interactive jigsaw puzzles for extra fun! My daughter is a big fan of the first Cars movie, so I grabbed this app up hoping she’ll enjoy a sneak peek of the new movie. I’ve taken only a very brief look at the app so far; I’ll wait to give it a proper go when my daughter is around, but it looks promising. 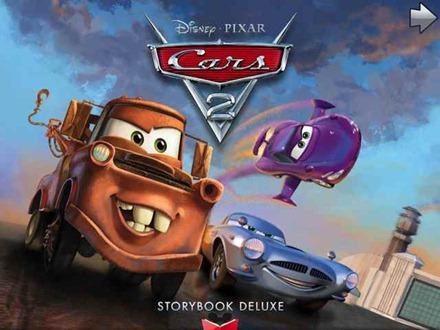 Here’s an App Store link for Cars 2 Storybook Deluxe; it’s currently priced at $5.99, which is apparently a ‘low introductory price’.